So it's now Thursday and Atlanta seems to be slowly creeping back to life after getting basically shut down by snow and ice. Now having grown up in new england for much of my childhood, i've seen MUCH MUCH worse, but when this happens here, Georgia simply can't cope with it, no resources to fight the weather, we just have to sit back and succumb. 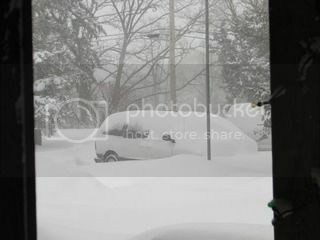 And i'm seeing pictures from family up north of just intense snow levels up there since yesterday. So who's been/still is stuck at home? I grew up in Snellville and no, they can't cope with it. The drivers can't cope, the city management can't cope. How is it now? my front yard is up to 5 feet worth! So glad I'm on the gulf coast where snow is a nonissue and I was back in a t-shirt today. Getting stuck by the blizzard in NJ 2 weeks ago was bad enough - that's why I moved down here! But in order to fly anywhere from here we pretty much have to go through Atlanta, so that's been a huge issue for us. Yea, yea, yea. I'll tell ya what I did enjoy - showing my snow plow videos to my friends down here who have never seen snow plows. LOL! And here I sit in Ottawa, where we're supposed to get TONS of the white stuff, and it's been unusually light on the snow front. Almost a green Christmas, New Years was so mild any snow we did have had all but disappeared. We've gotten a few snowfalls since, but nothing like what one would expect for this time of the year. Mother Nature is really messing with our heads methinks. I remember seeing an episode of tales from the crypt where the crypt keeper went to a warm summery climate locale to flee the cold winters from (wherever she was from) only to get buried under a bunch of snow in a freak snow storm. Life imitating art. Wait - are you comparing me to the cryptkeeper? Dude! OMG. Don't i feel sheepish. This is what reminds me why I stay here in the Village. We may not have Macy's, Chipotle, or a million other things, but we also don't have snow, ice, or freezing rain. Supposed to be 70 today. However, lest you think this storm will leave us alone, it is supposed to get cold tomorrow, and your snow storm will probably spawn tornadoes down south. So...thanks in advance. Chicago area here...under a blizzard warning in a few hours. The killer is that I had to take some friends to the airport this past Saturday. They were flying to, yep, South Florida. That really hurt. They're going to the beach today and we're readying for a blizzard. Man that's just...just...cold. Pun intended. If we get nailed like they're saying I'll put some pics in this thread. Rain rain rain is all we're seeing for the better part of this week...thunderstorms tonight, but 50's and 60's. I can deal with rain...you guys up north can keep the snow and ice, thank you. I do have a friend near Chicago and he said they are freaking right now because they haven't had a "perfect storm" (for lack of better term) come that way in like a decade or more. I'm thankful my vehicle rides high - so I can see over the tops of at least some of the snow piles at intersections so I can see traffic without being in it. The other issue experienced is the snowblower discharge chute has to be pointed just shy of straight up when adjacent to the piles at the end of my driveway in order to have a hope of throwing snow over or atop them. 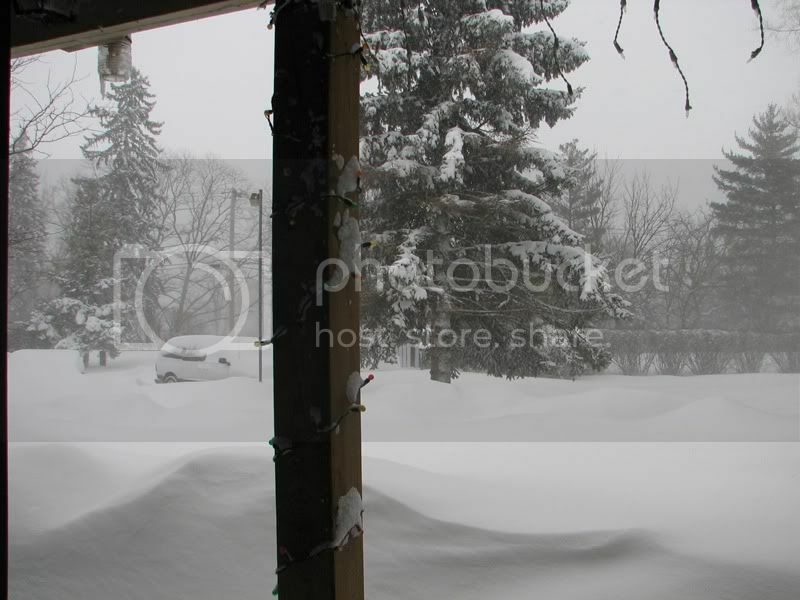 Some pics from my front door. Most roads are closed here in Lake County. Don't know an official snow amount, but I'm hearing between 18-20". Lots of blowing and drifting. Some drifts are taller than my kids...this will make for some great pictures later today. Made a video montage of pics from our snowfall. You can find it here. I too am in Lake county IL, actually Lake/McHenry line.